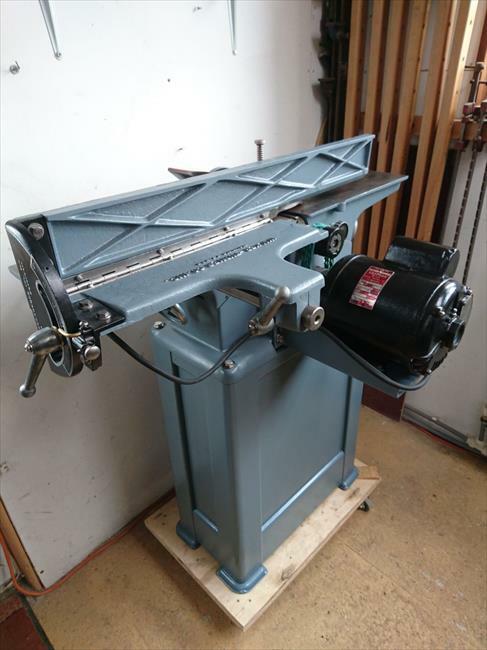 This machine was acquired and restored by Julian Harrison, a woodworker and machine restorer in the UK. 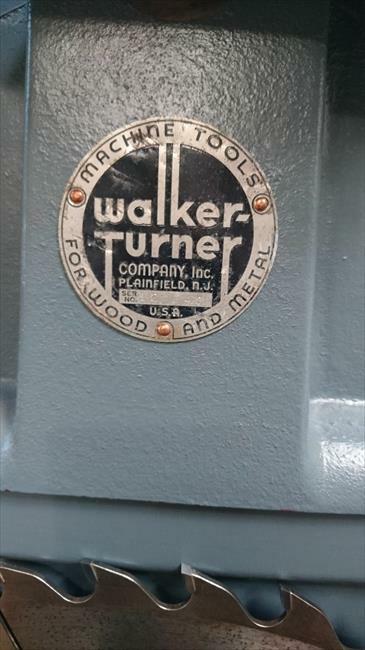 Many of Julian's Walker Turner machine restorations are featured on the Boleyn Workshop website which shows off both English and American restored woodworking machinery. Julian's workshop has it's own webpage on the site which can be found here http://boleynworkshop.com/julian-harrisons-workshop.php Julian's restorations are meticulous nut and bolt back to bare metal jobs after which he hand paints in specially recreated Walker Turner coded paint. 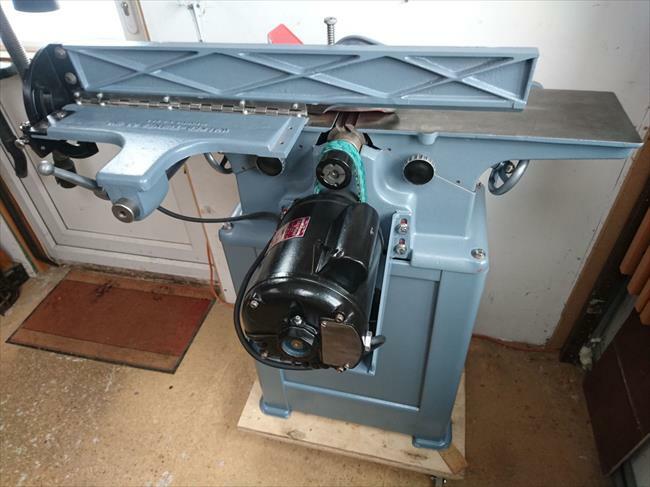 They include both dp700 and 900 drill presses, a B995 10" bench saw, a B745 8" bench saw, an MBM1105 16" bandsaw and coming soon a WT scroll saw that is currently being restored (March 2018). if you enjoy Julian's work then please leave a message in the site's guestbook. 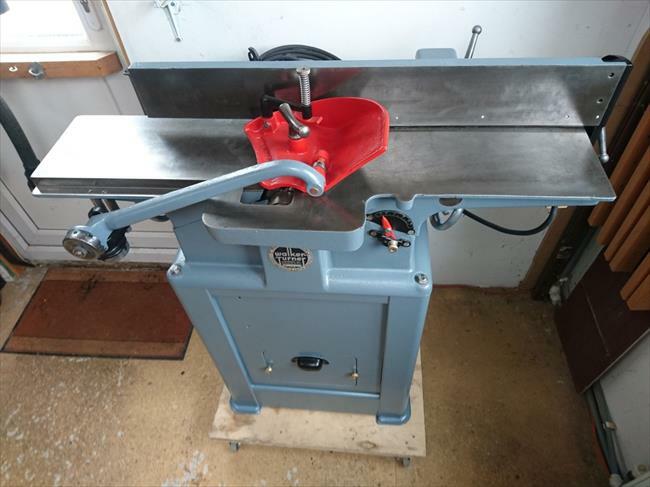 Comments: Front view of the jointer mounted on a genuine Walker Turner cabinet. Comments: Rear view showing the bespoke motor bracket fitted. Comments: This view shows the Carbotec pulley system fitted by Julian himself. 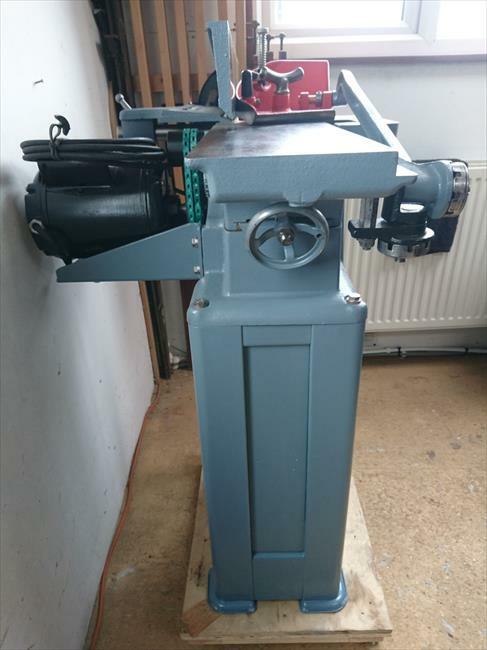 Comments: Side view of the machine on cabinet. 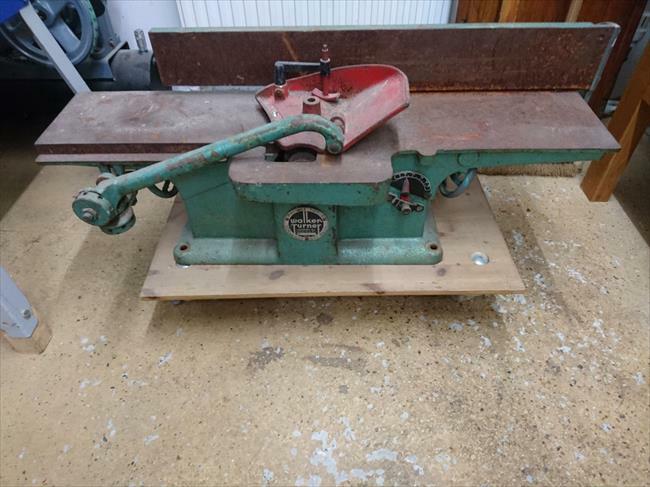 Comments: The jointer as it arrived into Julian's workshop.